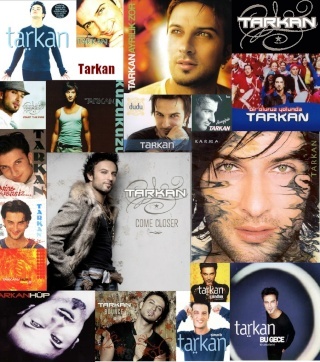 I was wondering, where do you see Tarkan in the next 5-10 years? Although Tarkan doesnt agree with marriage, do you think he will ever get married? hopefully we will have a big country wedding here in good ole' Texas. ok, when he comes here, I'm gonna be in the first row shaking my a** off you gotta support me I can dance 24/7!!!!! When I found Berna's new album on IMEEM I was dancing for 3 hours hehehe so yeah......Let's dance! olya you danced great!!!!!!!!!! !are you a dancer? i mean.. you do dance school? I did go to dance school many years ago and also to did gymnastics )) hehehehe.....damn this topic is interesting what if Tarkan gonna be a president?? Hop Hop is a song for parlament anyway! i'd like to see some bold men in tuxido's shaking what they have! as for his career, maybe a movie or a duet with Timberlake or Shakira!! i think producing is the thing he'll do after america. but this is an old topic so let's all get it shaking for the american tour!